The recent global rally of stocks has left many investors in a fairly comfortable position but, as most would be aware, equities have a history of volatility and it it usually only a matter of time before performance starts to tail off. So how do you protect the gains you have made? Tangible assets, or real assets as they are sometimes called, are physical assets that for many have been a traditional safe haven or store of value. The main strategy is to take capital from a more volatile area following a period of good performance and transfer it to an area that is less volatile for longer term growth, therefore protecting your capital and in turn lowering the overall volatility of your investment portfolio. The fine wine market had an exceptional year through 2016 with many wines climbing to their highest levels since 2011 and its this performance that has many people viewing the wine market as a suitable store of capital, or safe haven, similar to Gold during these uncertain times surrounding Brexit. Fine wine’s controlled supply and healthy demand usually helps to keep the market performing well, even if traditional areas begin to falter. 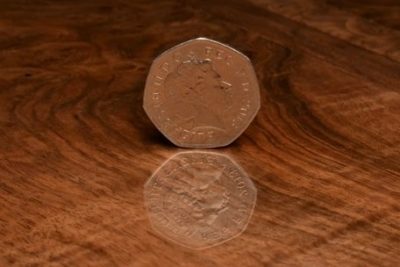 The current weakness of Sterling is also helping to make UK based wine stocks much more attractive to global buyers and has given the UK fine wine market a welcome boost. Asian investors have also begun to return to the market after their excitable flurry of trade between 2009 and 2011 which is widely cited as a major factor in the market adjustment that followed. 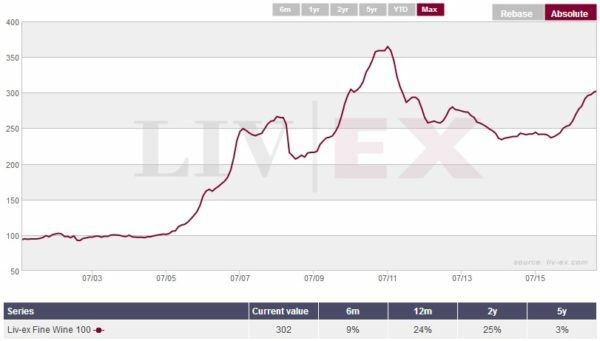 The wine market’s leading benchmark, the Liv-ex 100, has gained for the past 14 months consecutively. This is the best performance the market has seen since 2010 and resulted in the index delivering 25% during 2016 in comparison to the FTSE’s 19%. For those fearing a repeat market adjustment the Liv-ex 100 is still 18% below its previous peak point in mid-2011. Unlike equities, fine wine should be given a long term view and historically the longer the view the better – the longer you hold on to fine wine the more consistent the returns can become. This is because of the supply and demand nature of the market, the longer you store a classic vintage of Bordeaux the more drinkable it will become and less of it will remain in circulation which should push values upward. The fine wine market is being used by an ever growing number of investors as it offers portfolio diversification, consistent returns and potential tax benefits, something that investors will be seeking to build on as global economic and political uncertainty continues. If you would like to make some purchases specifically for longer term growth Cult & Boutique Wine Management will be happy to recommend the best wines for your portfolio.